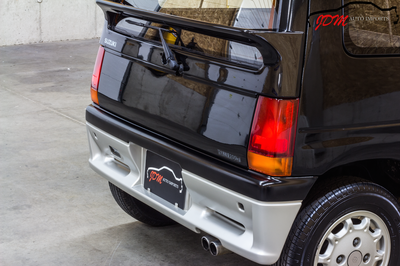 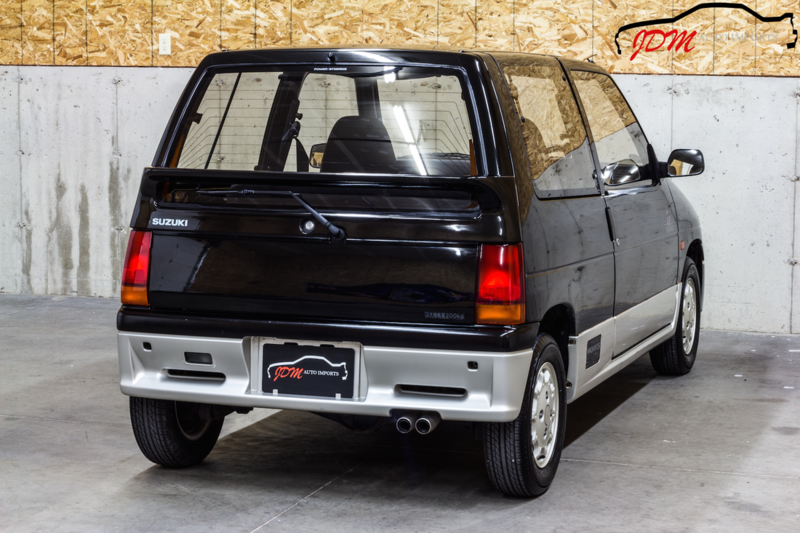 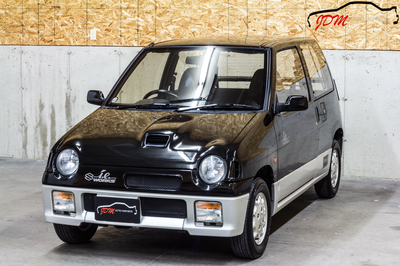 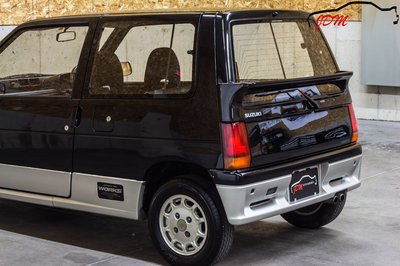 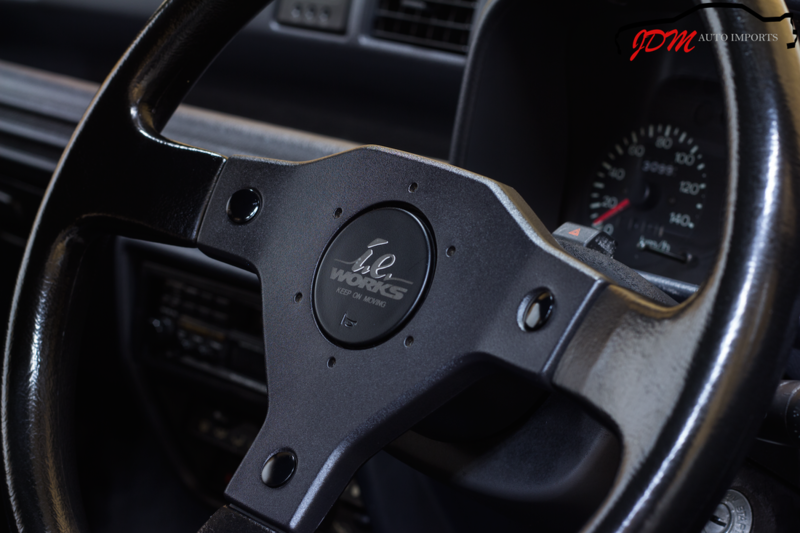 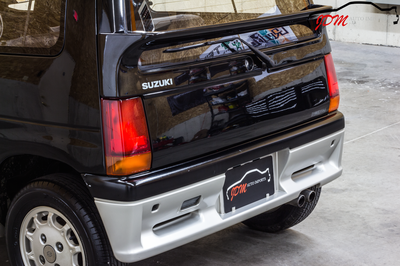 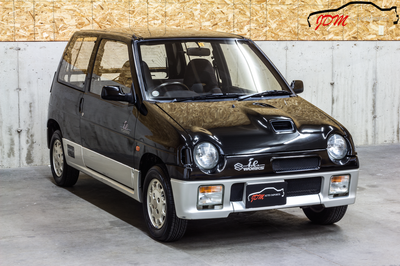 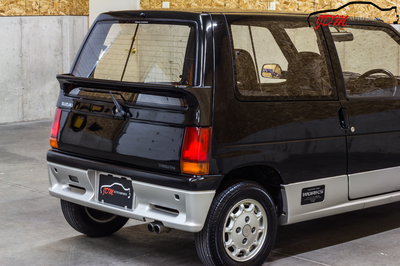 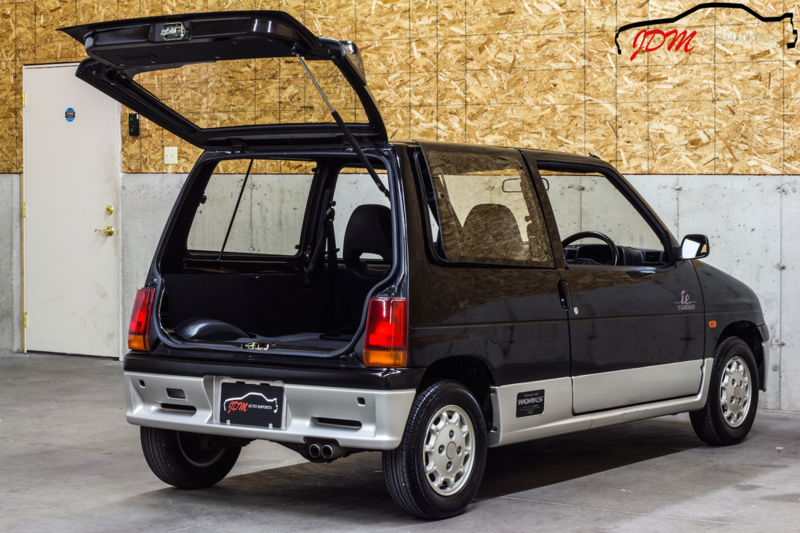 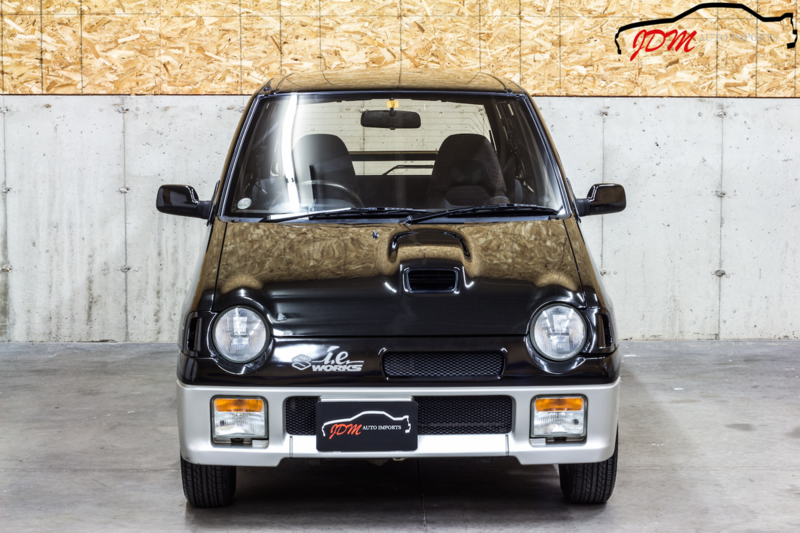 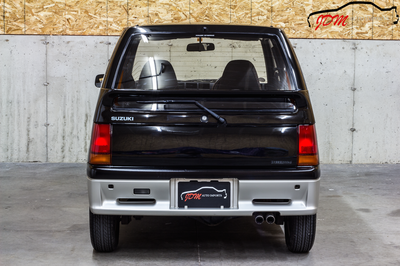 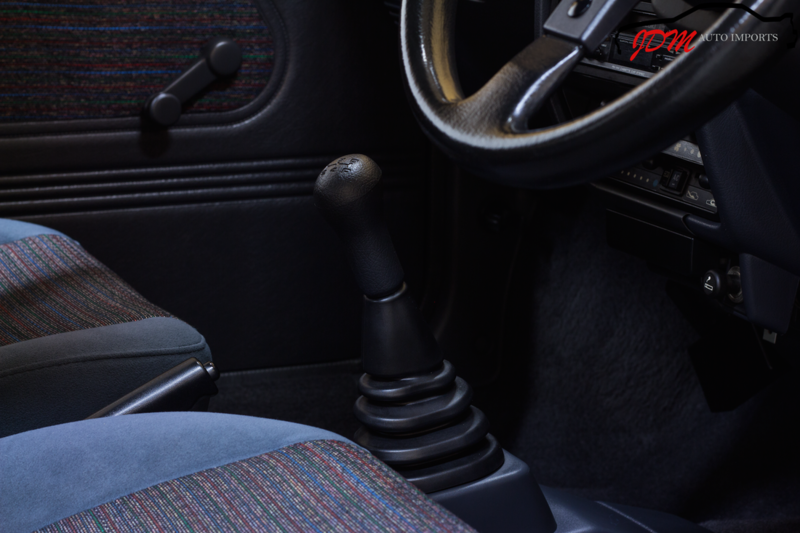 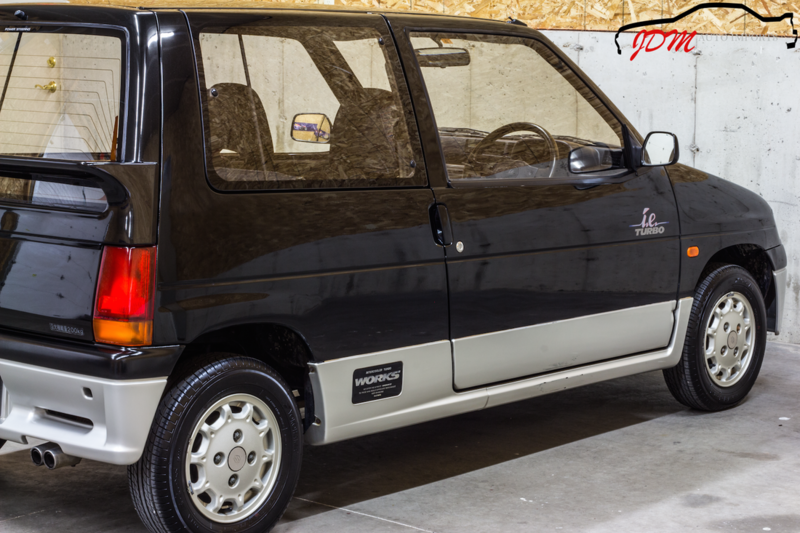 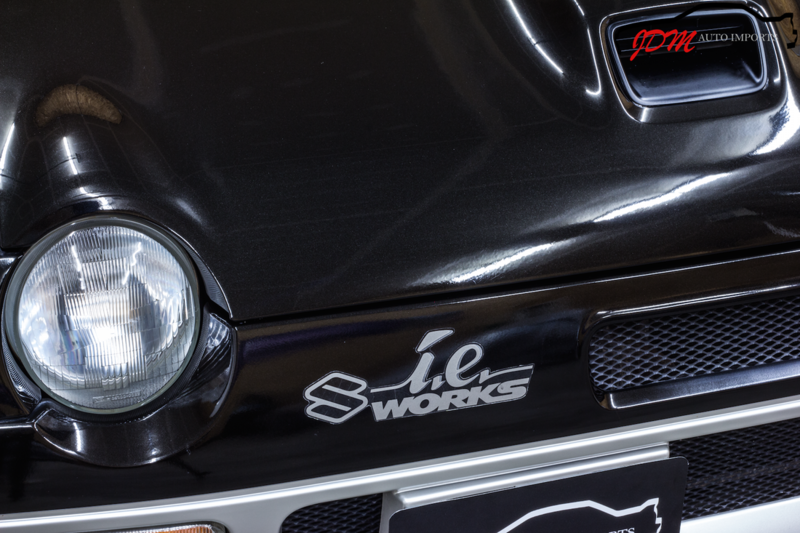 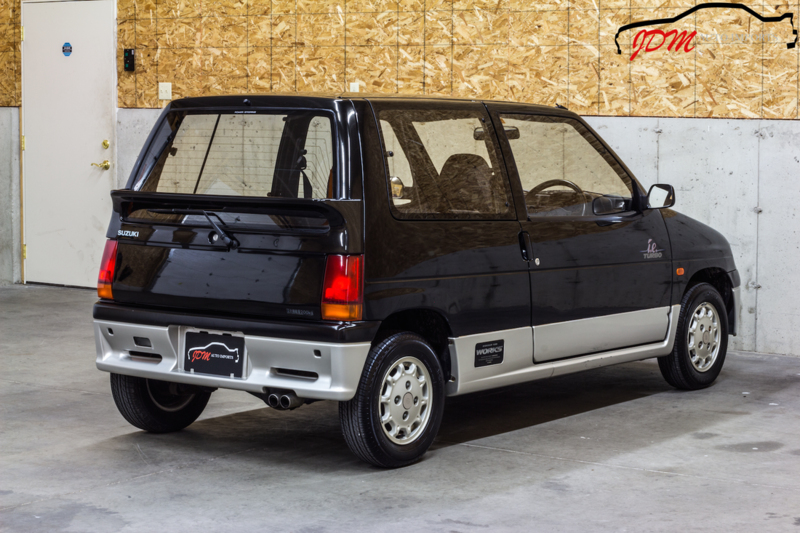 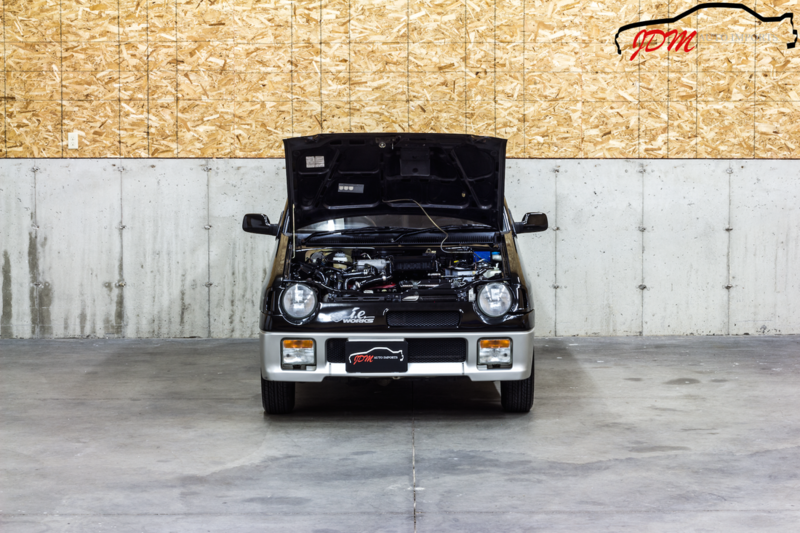 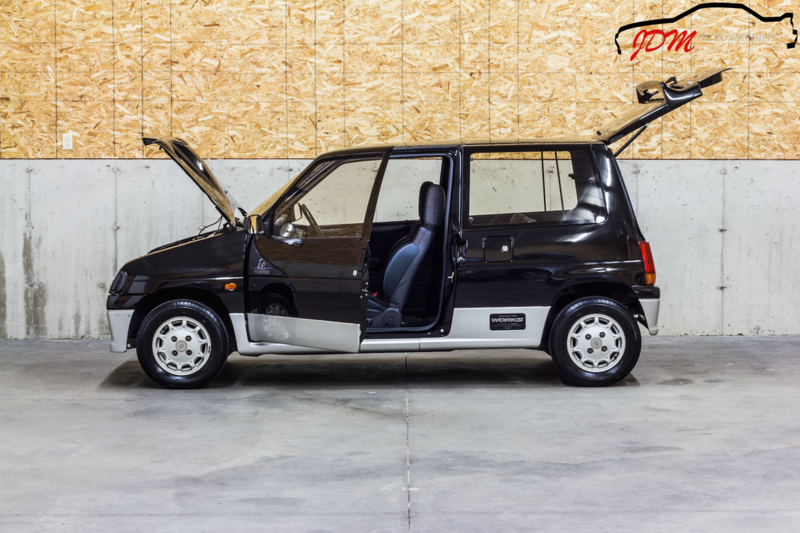 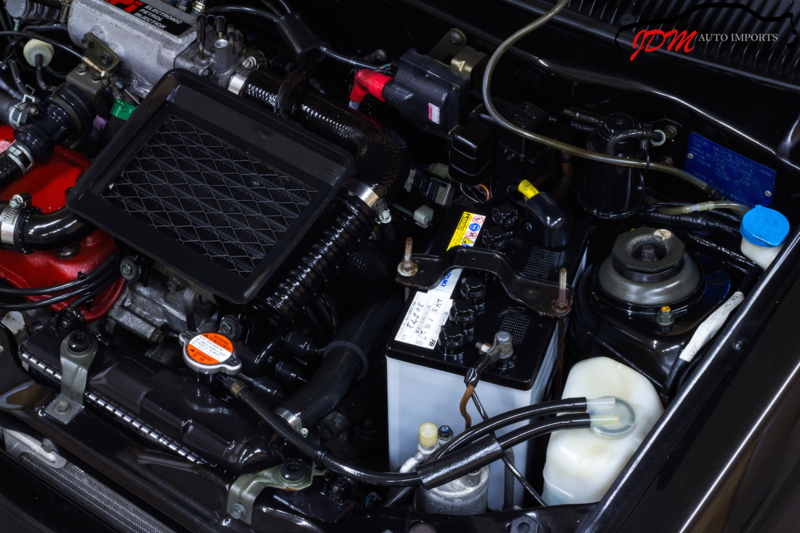 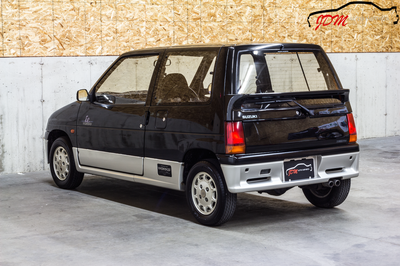 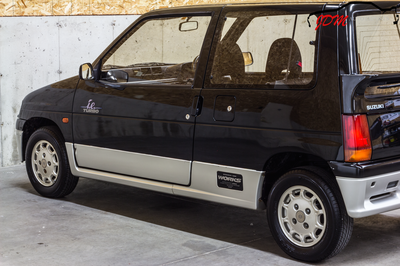 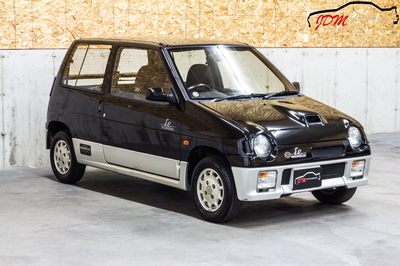 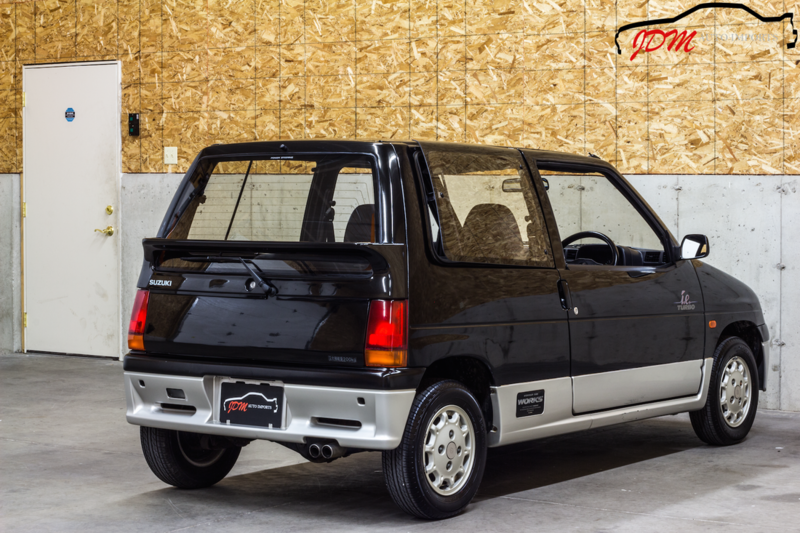 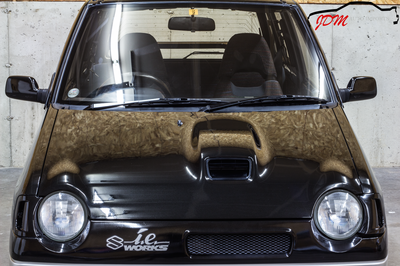 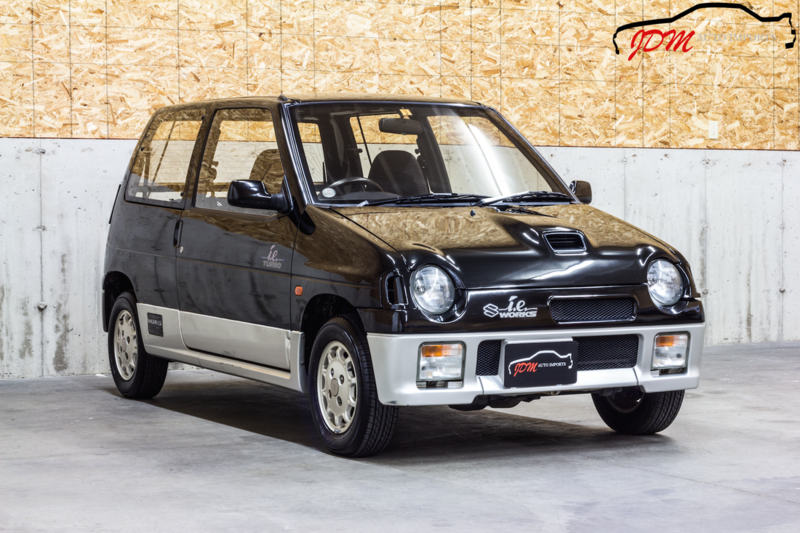 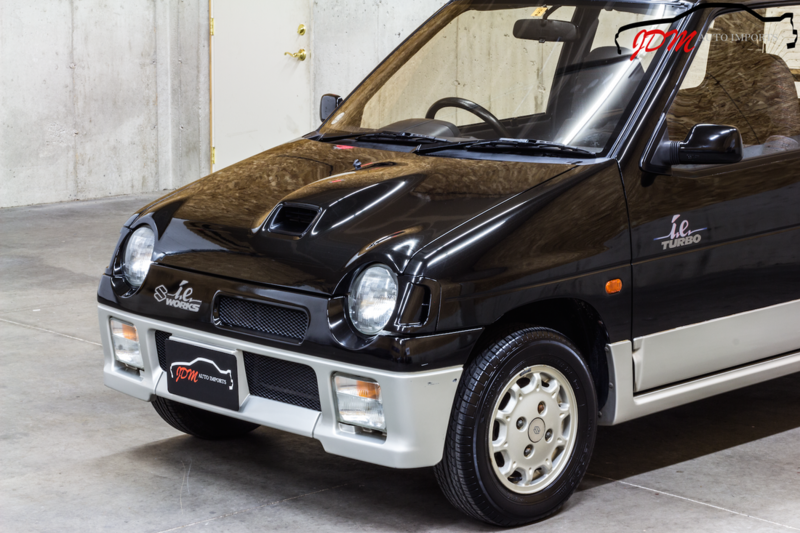 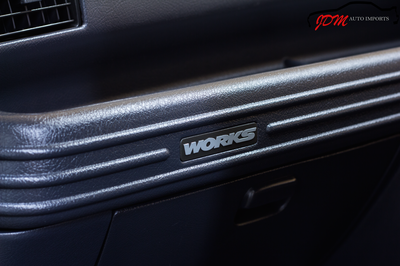 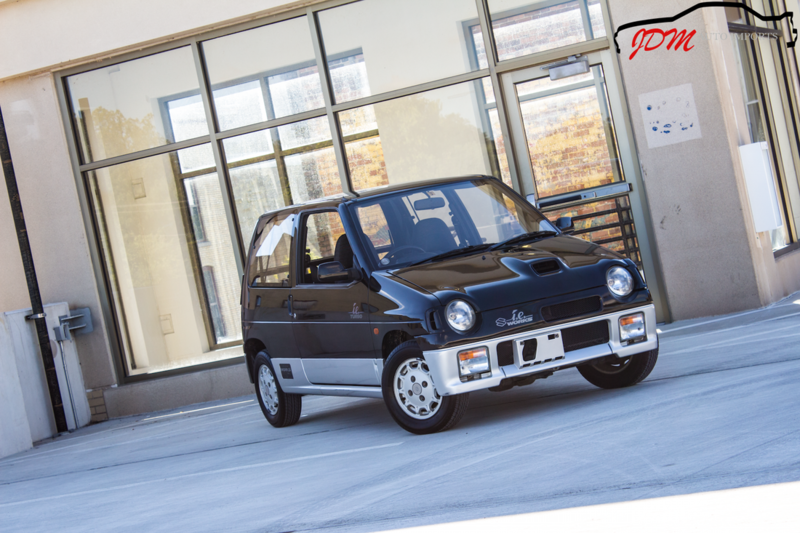 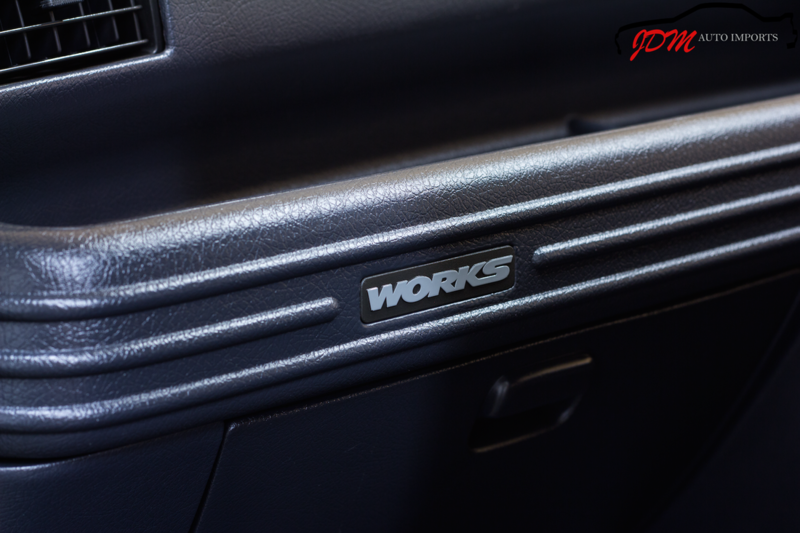 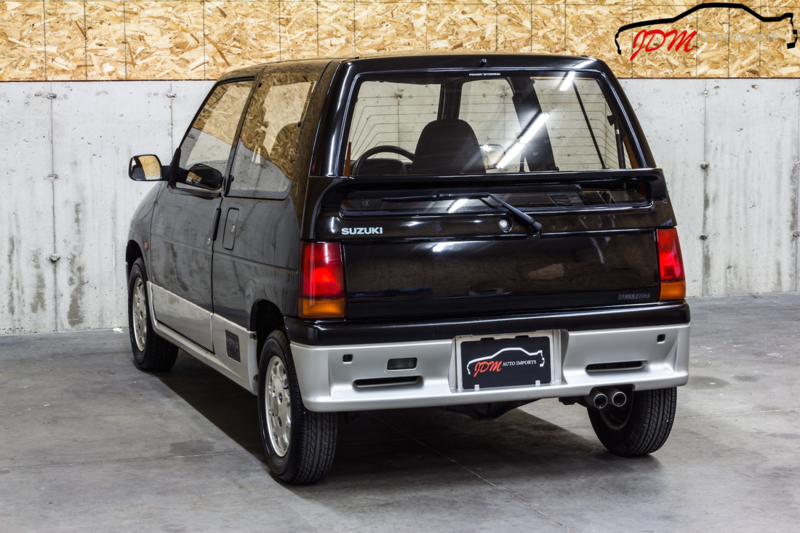 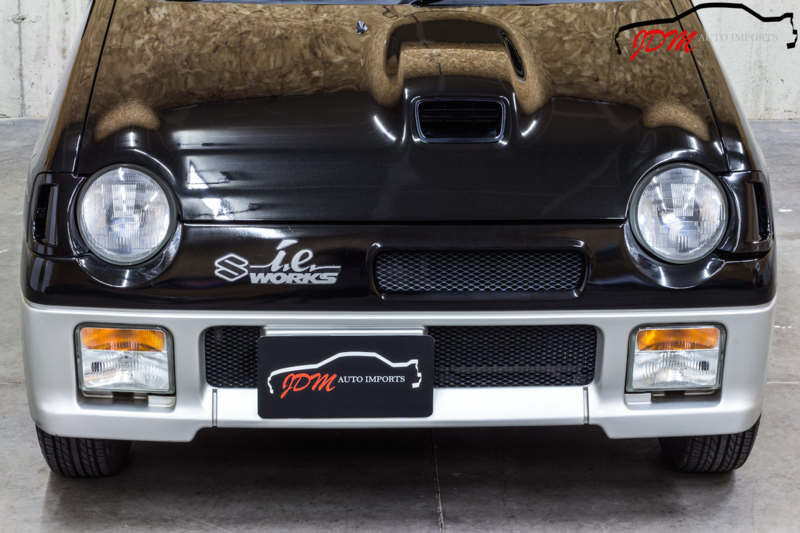 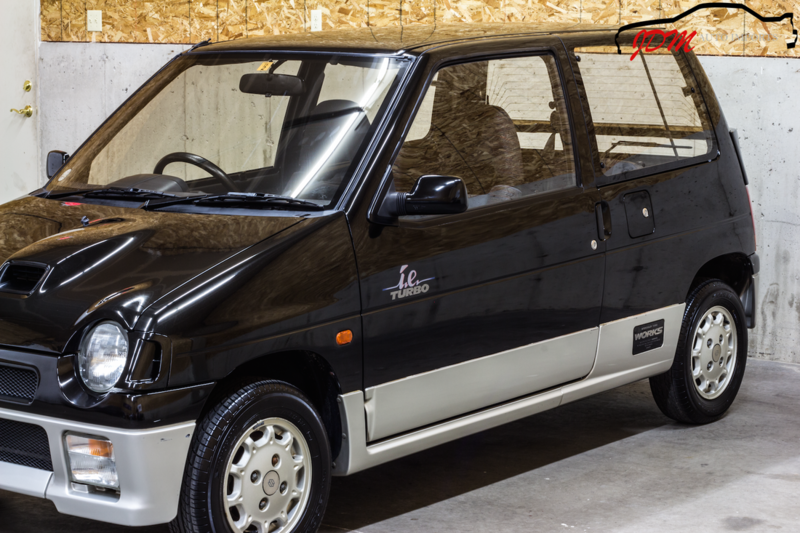 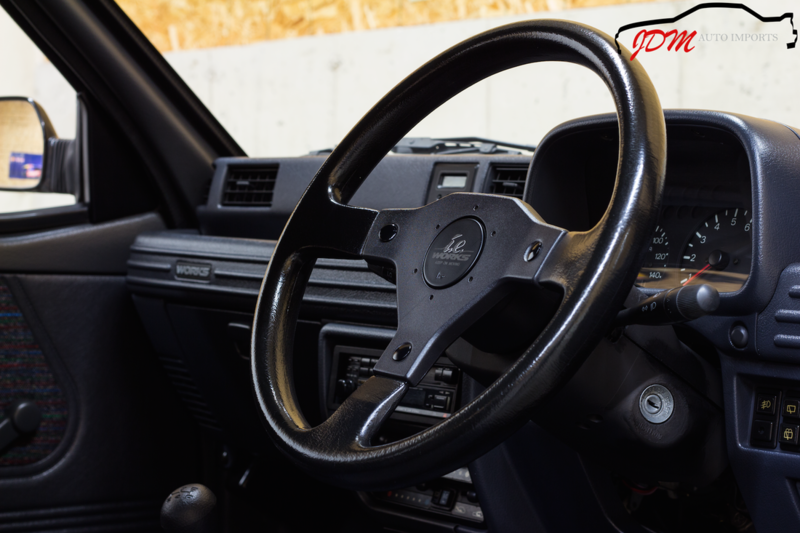 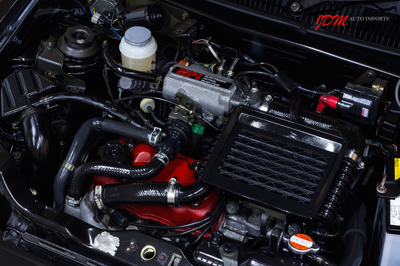 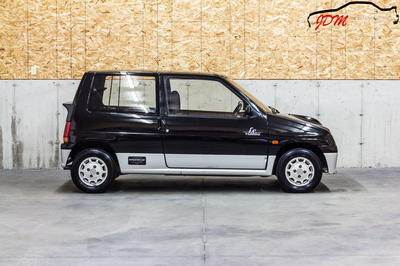 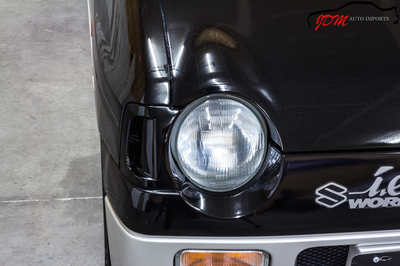 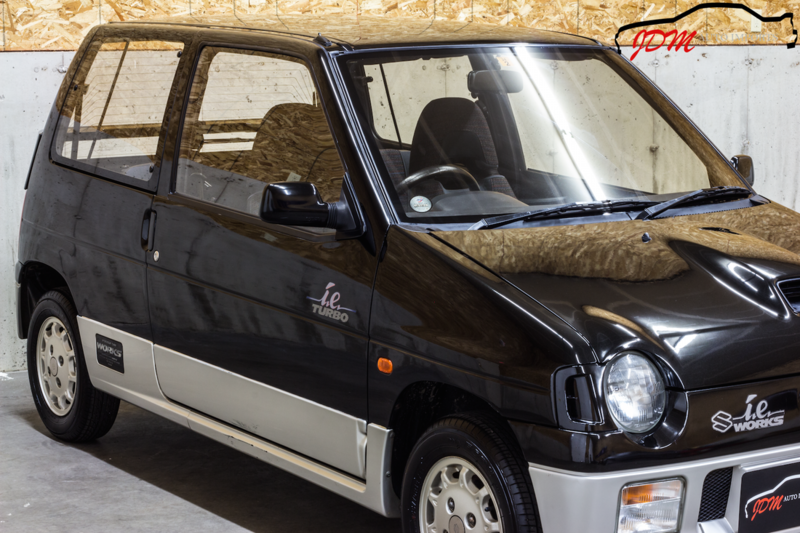 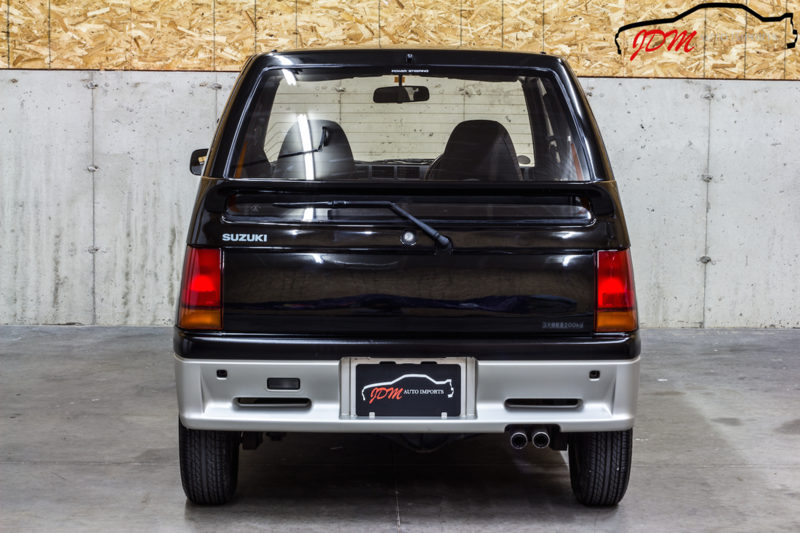 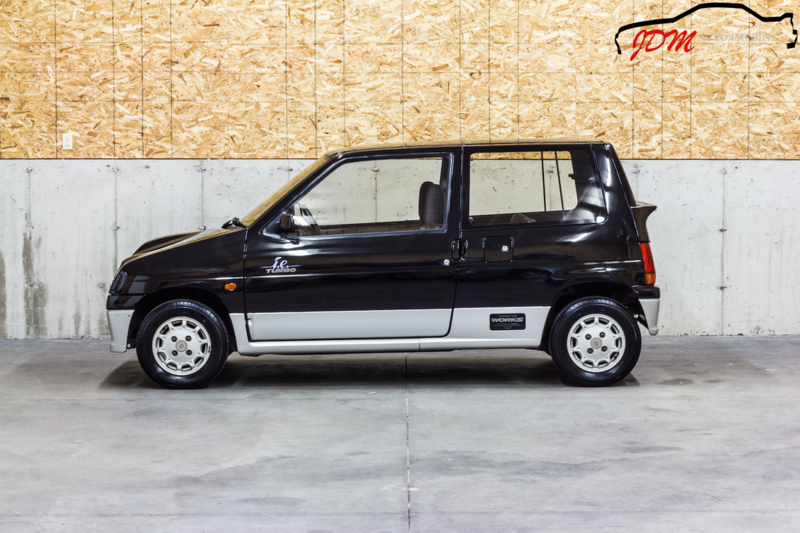 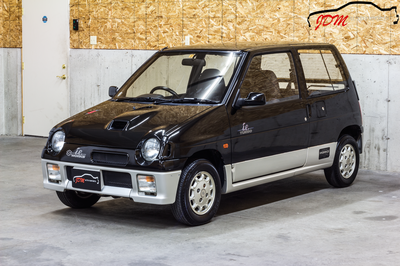 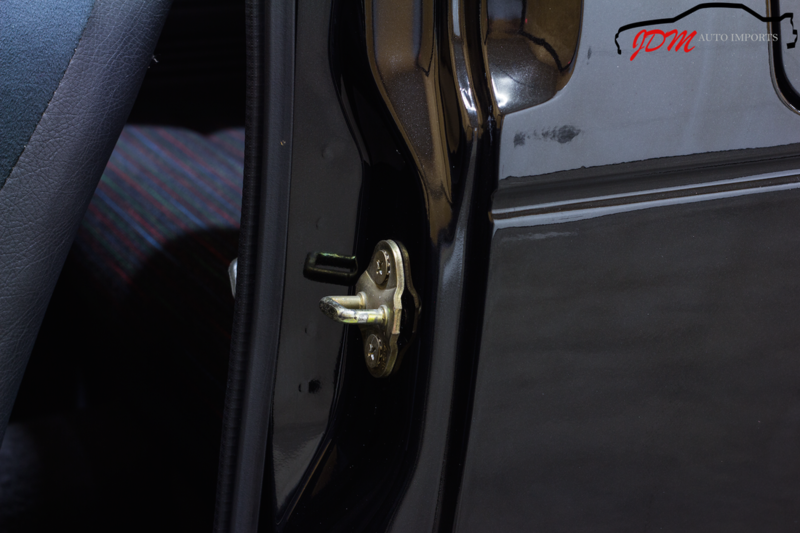 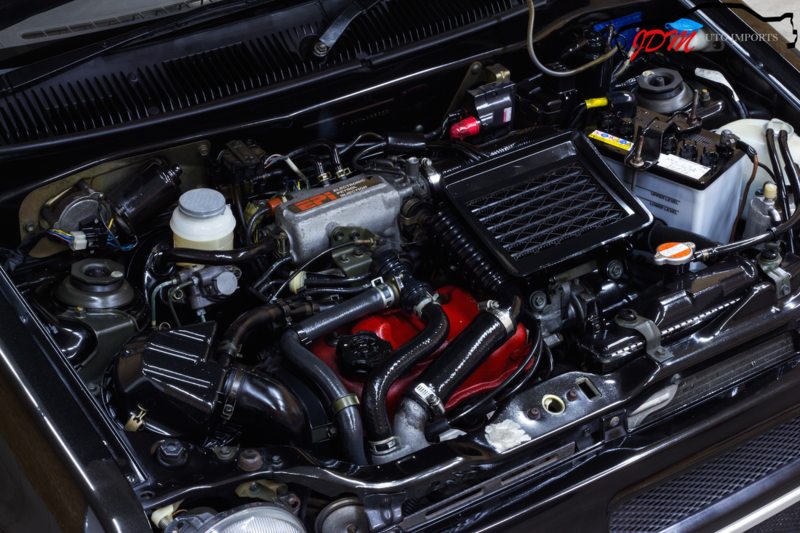 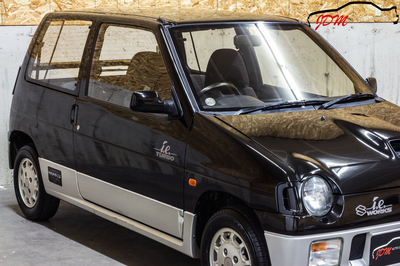 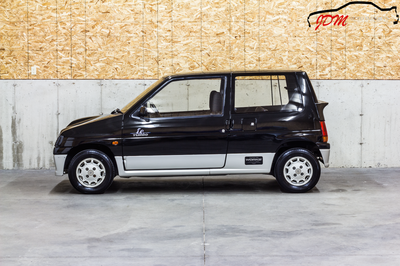 This 1990 Suzuki Alto Works i.e. 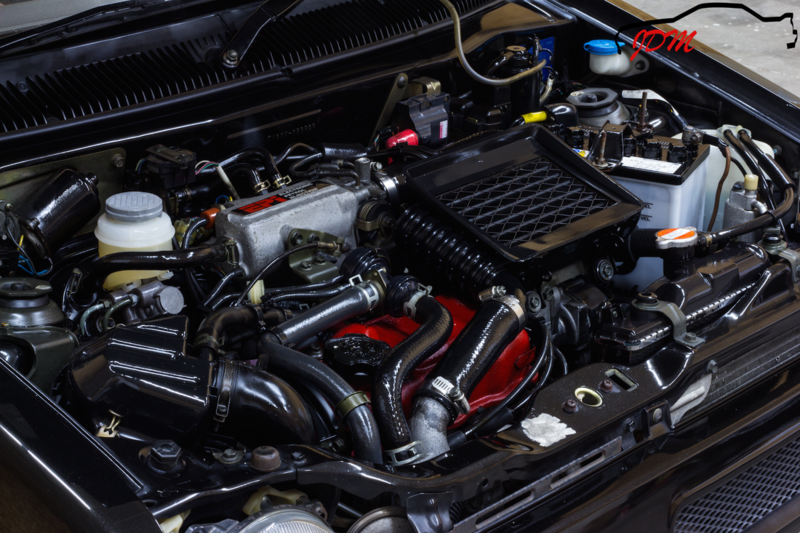 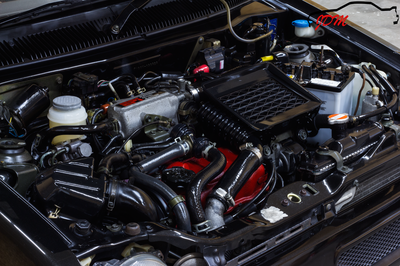 Turbo is clean, 100% stock, with only 19k exceptionally low miles. 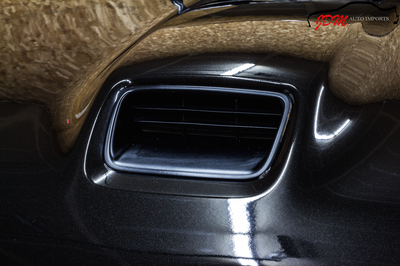 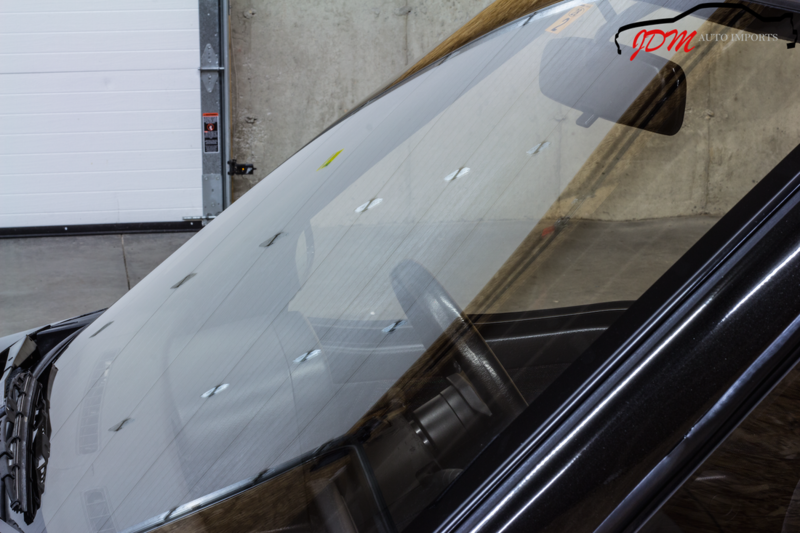 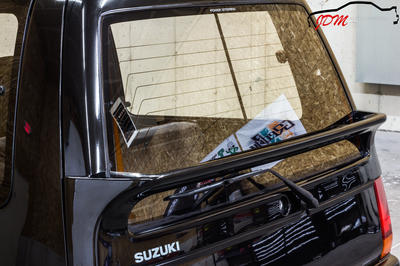 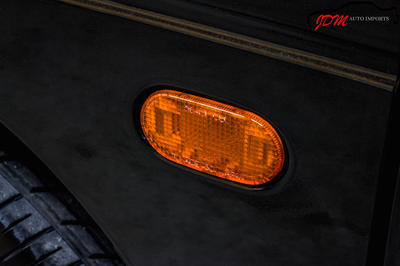 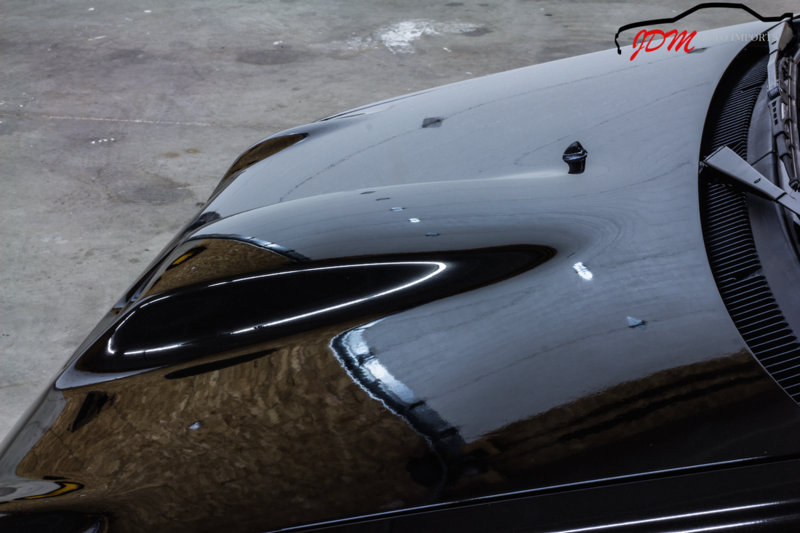 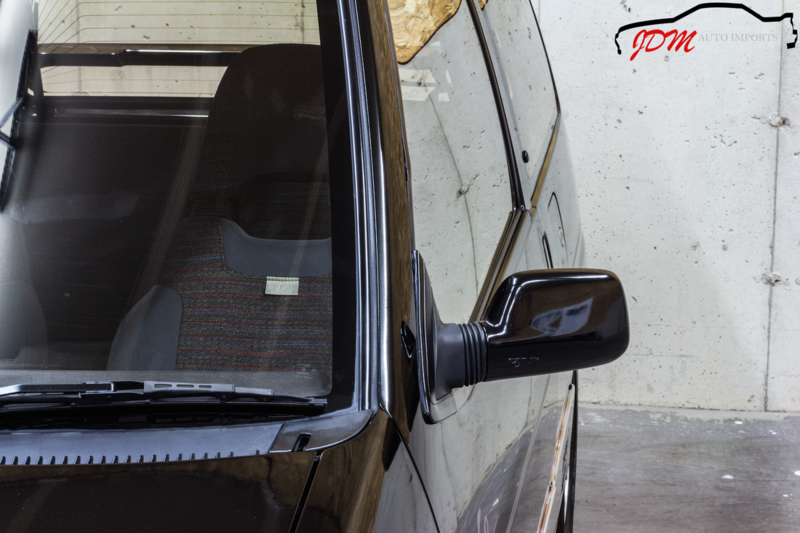 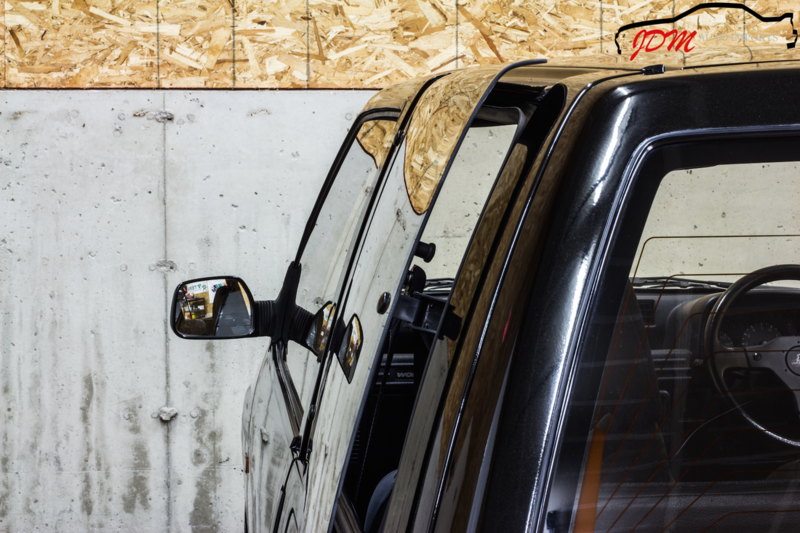 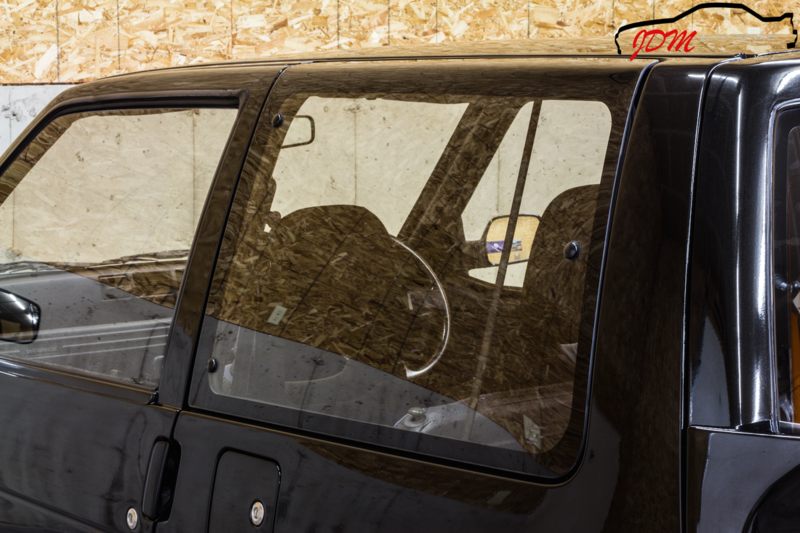 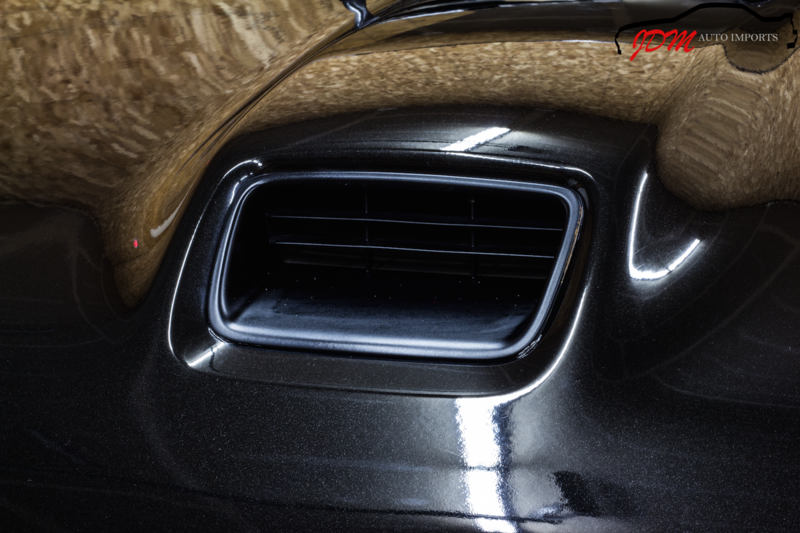 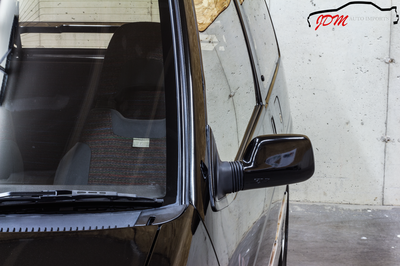 The black paint is in excellent shape and shines beautifully with a mirror like reflection. 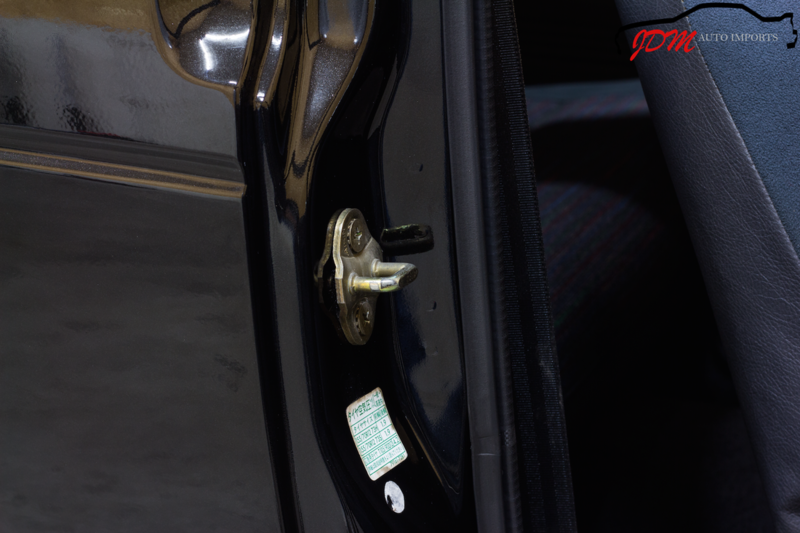 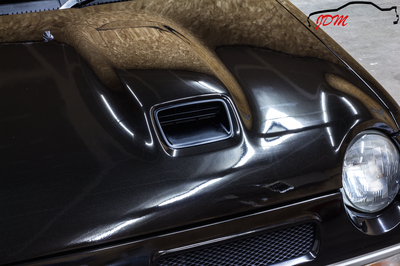 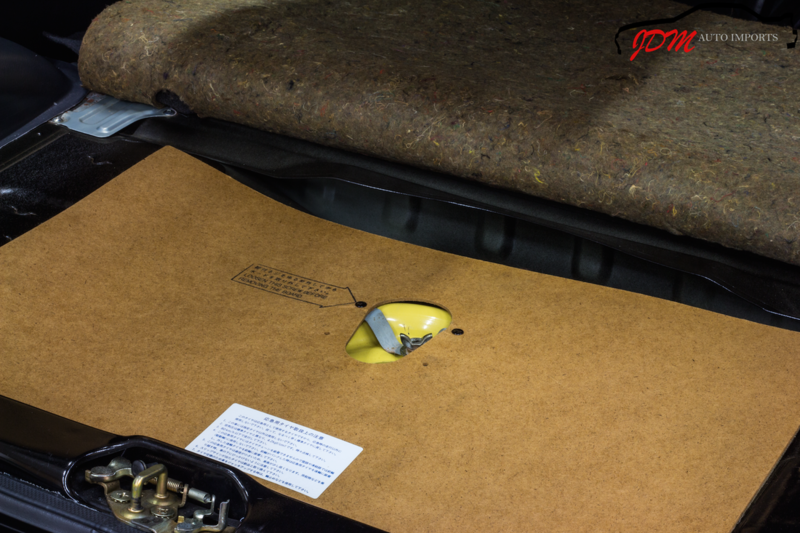 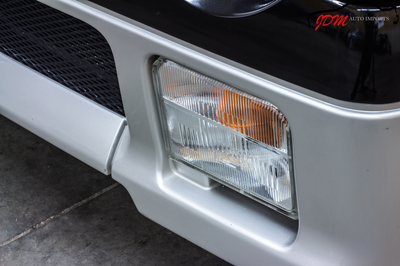 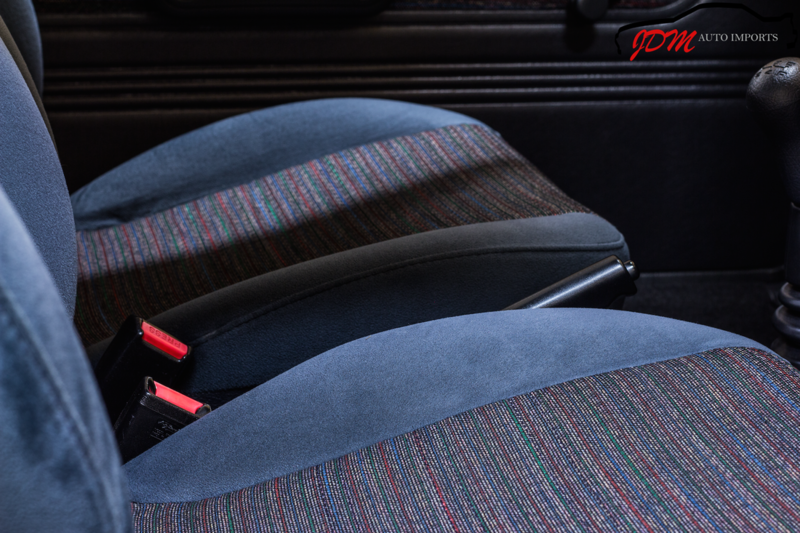 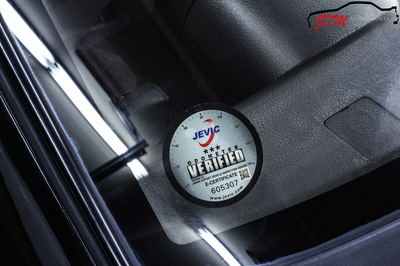 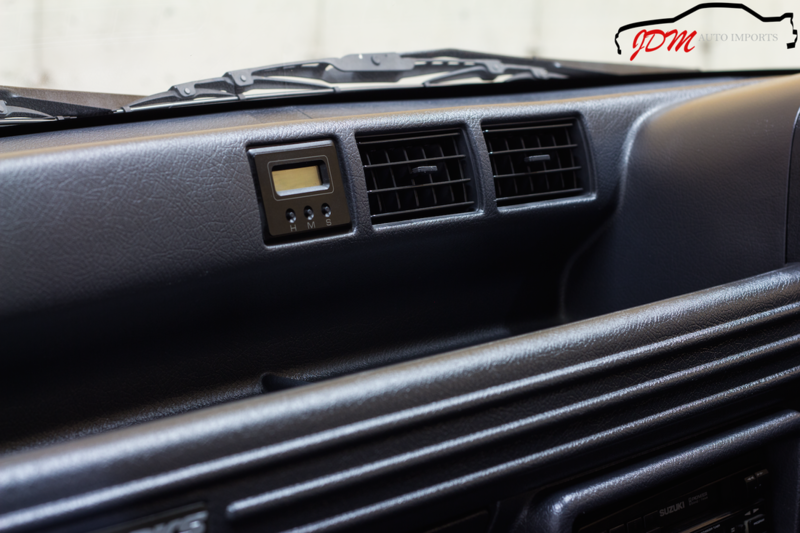 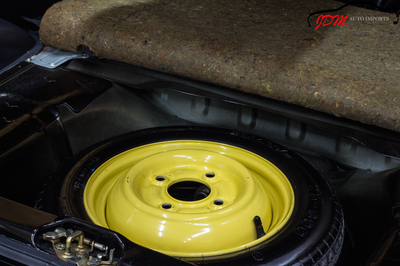 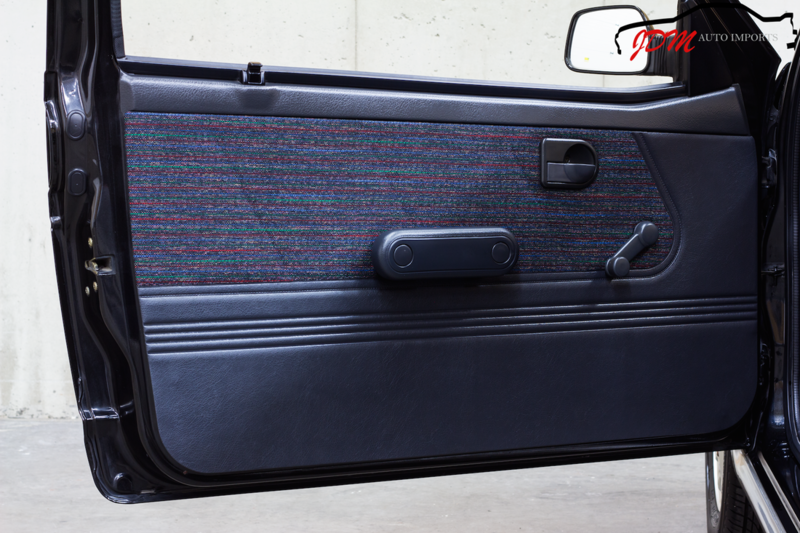 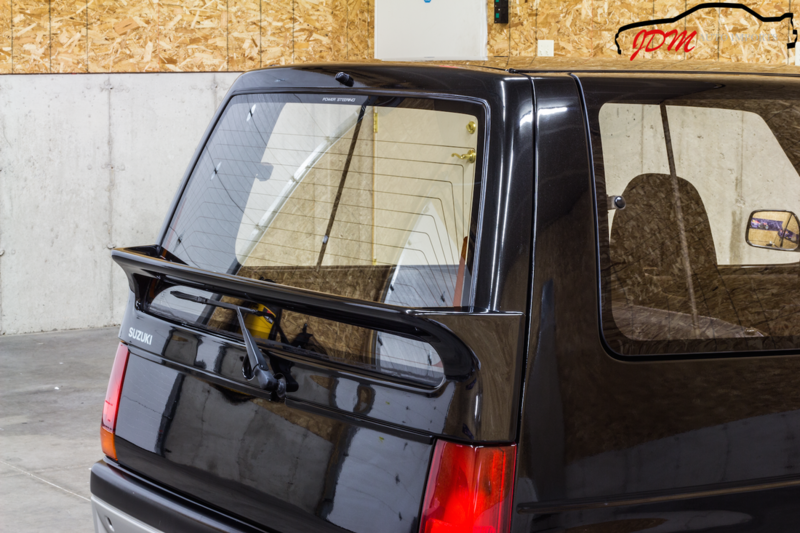 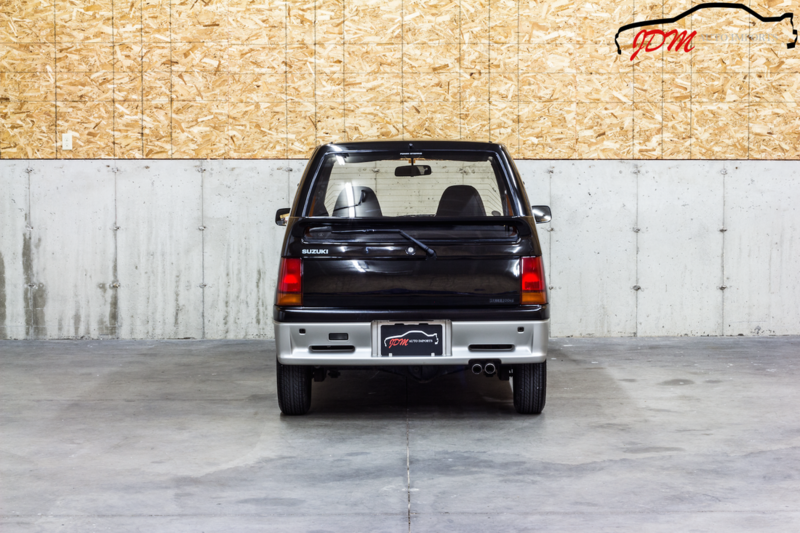 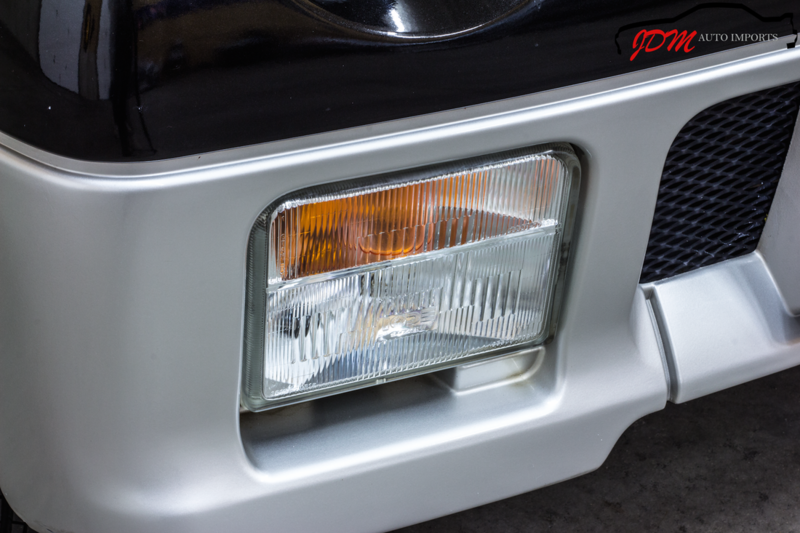 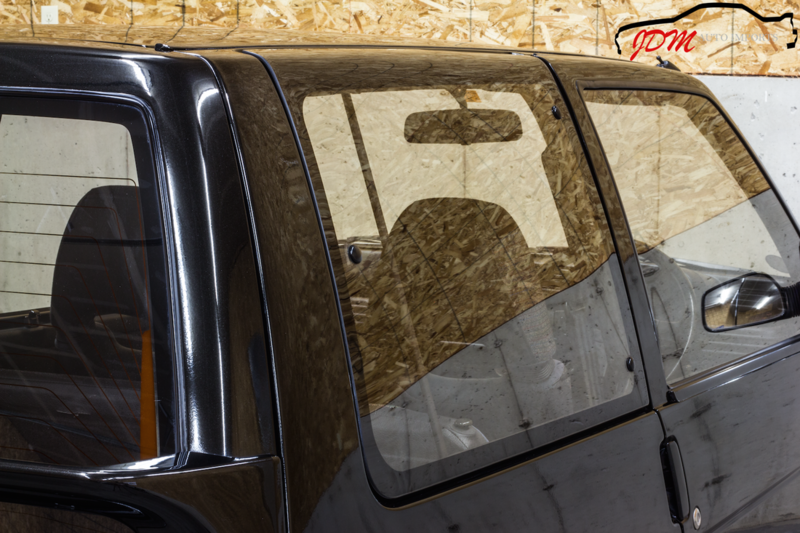 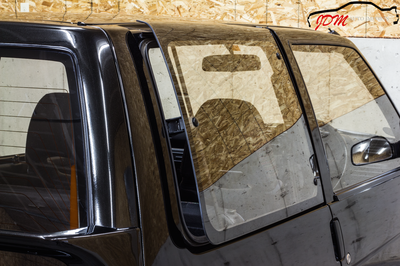 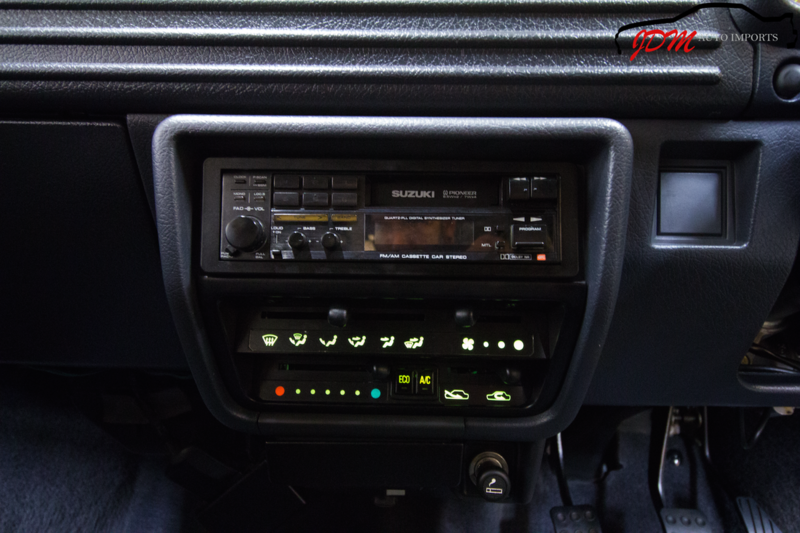 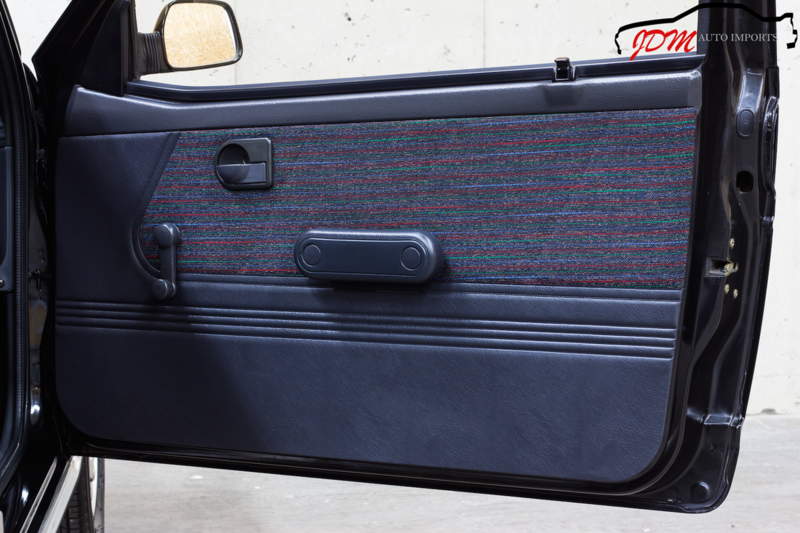 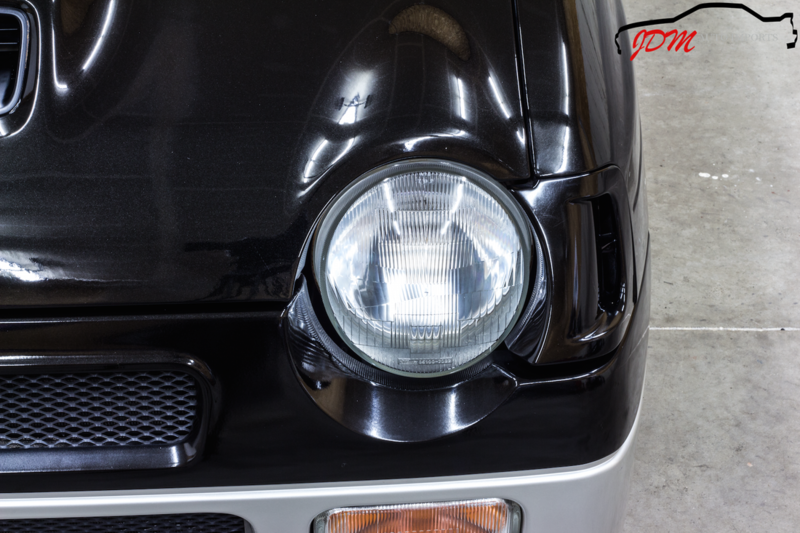 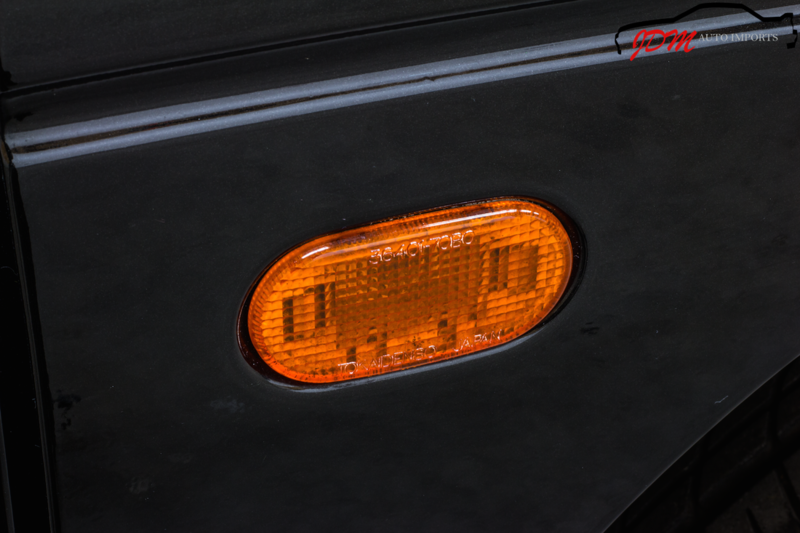 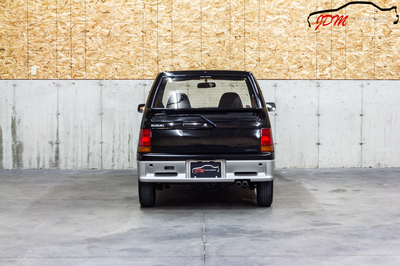 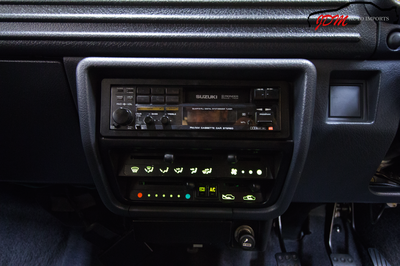 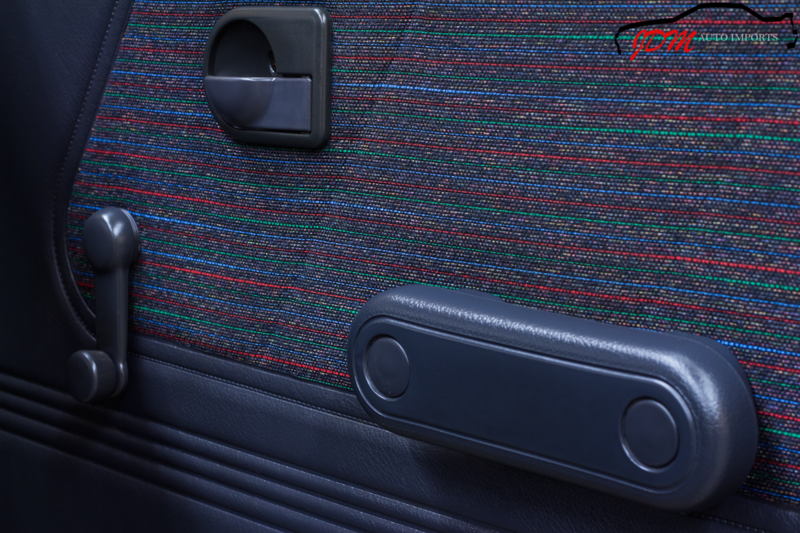 The body is in very good condition for a 25 year vehicle, with only a few minor cosmetic blemishes on the lower silver plastic trim. 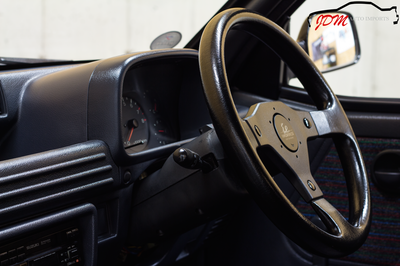 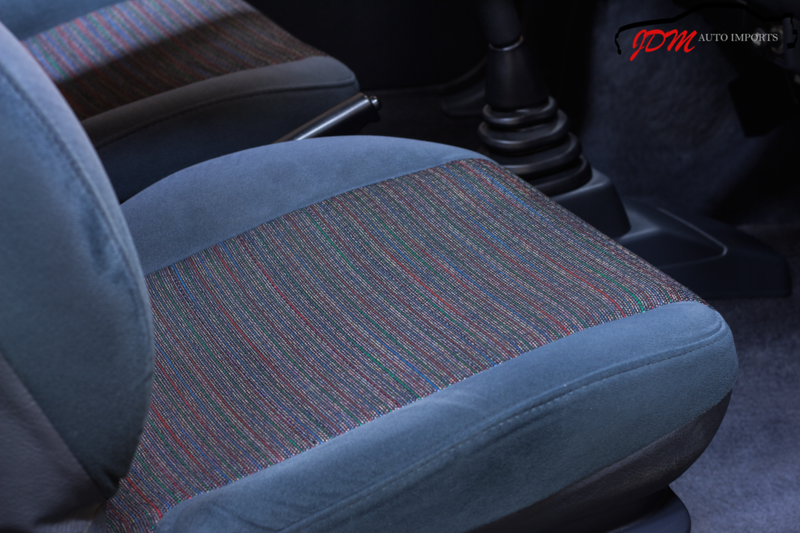 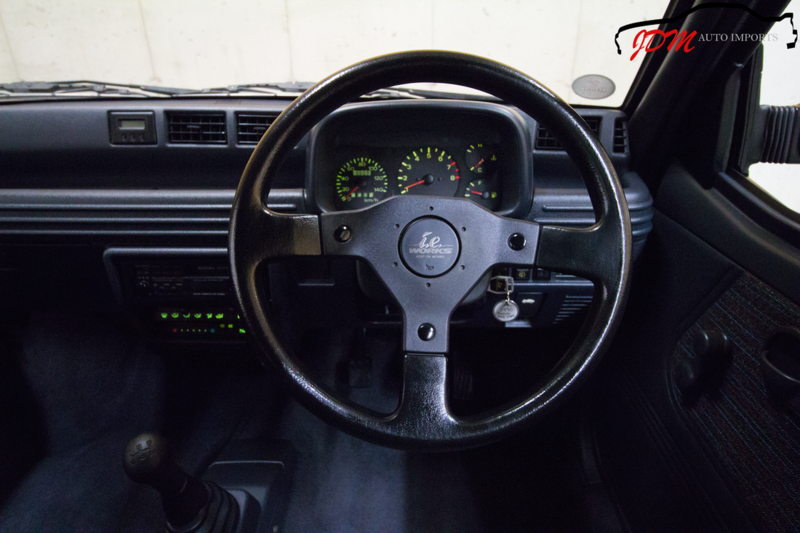 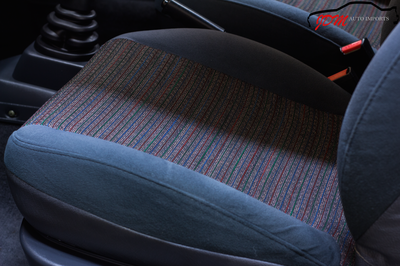 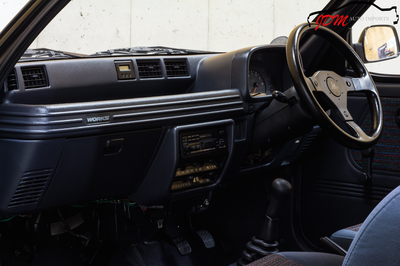 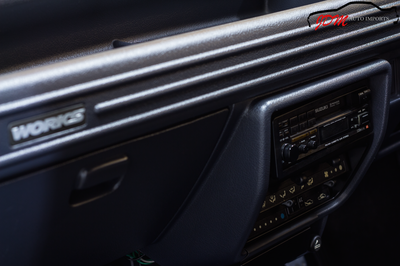 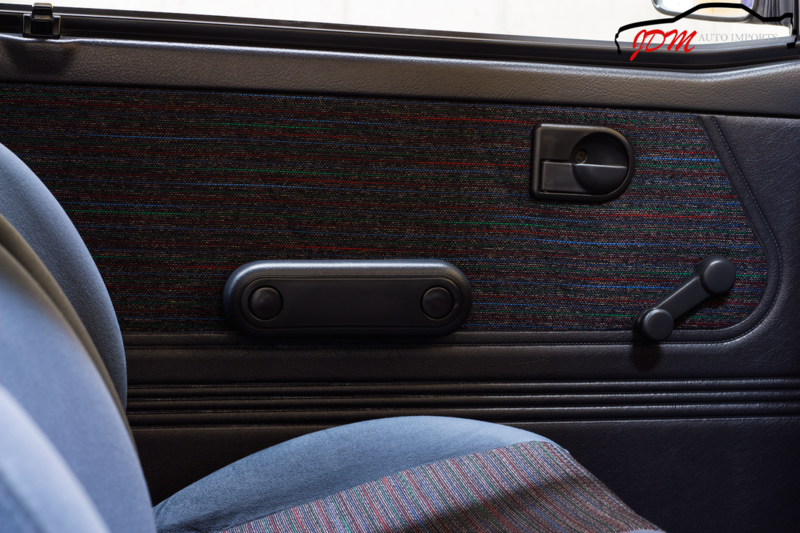 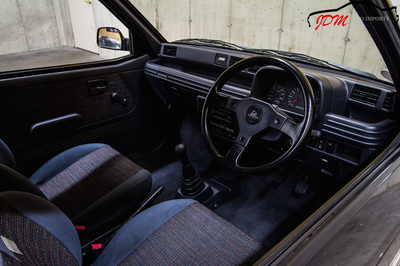 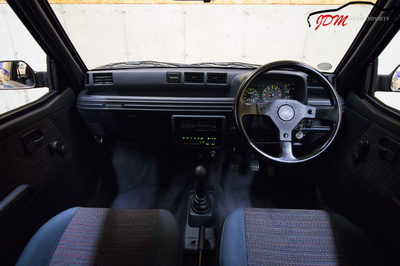 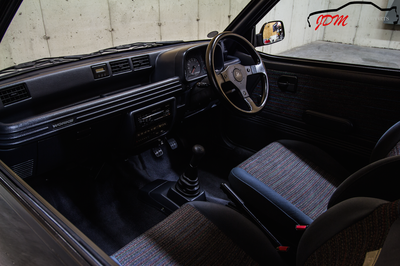 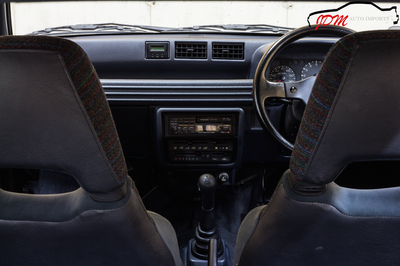 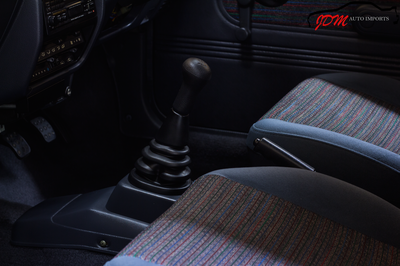 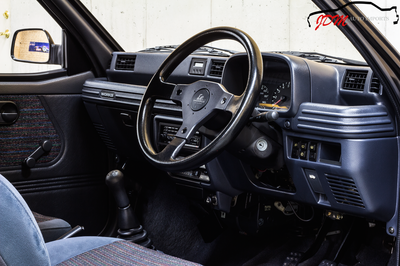 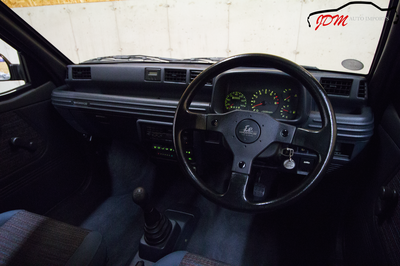 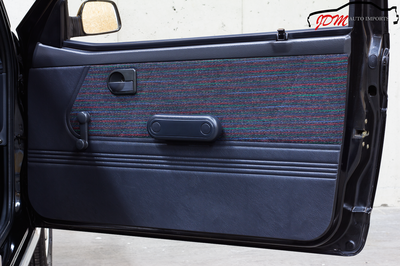 As you would expect with such low mileage, the interior of this Alto Works is in beautiful condition. 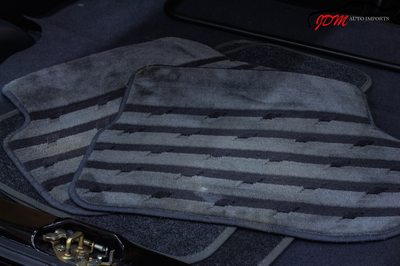 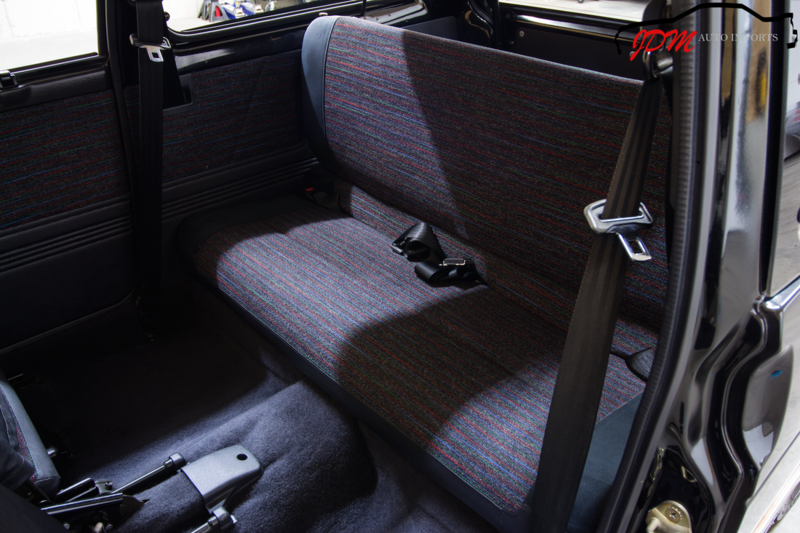 The carpet, seats, door panels, dashboard, and steering wheel are all like new. 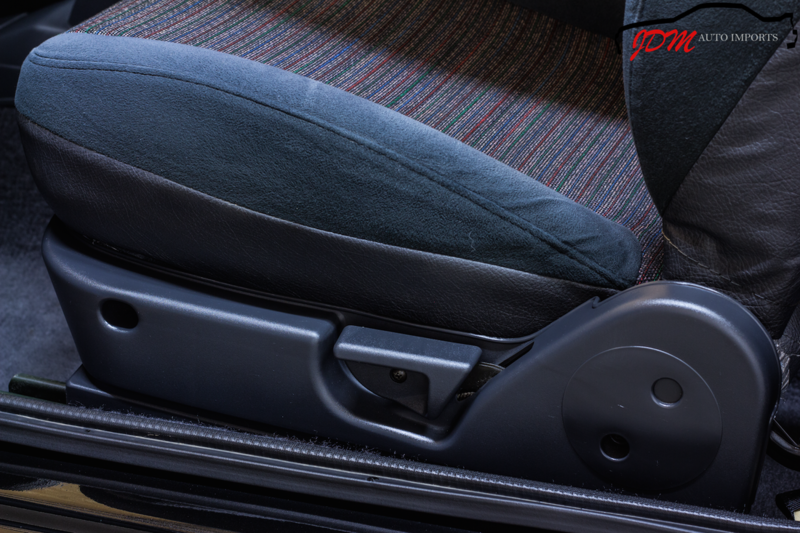 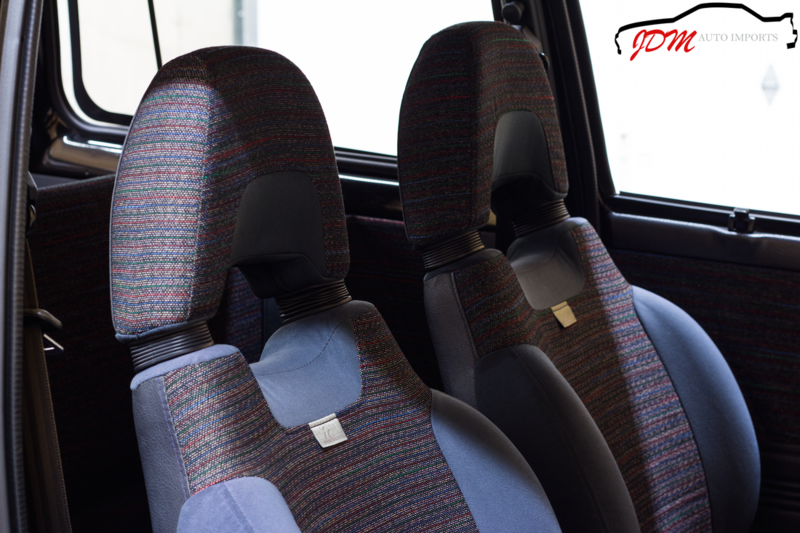 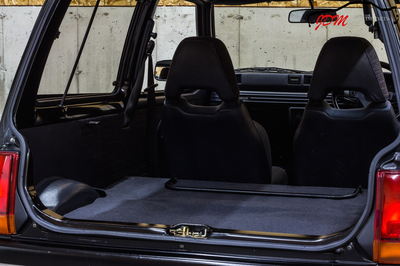 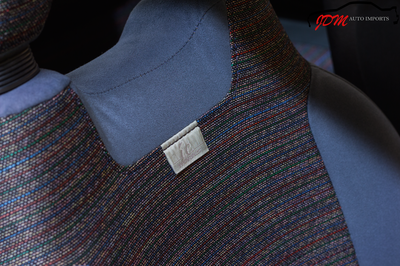 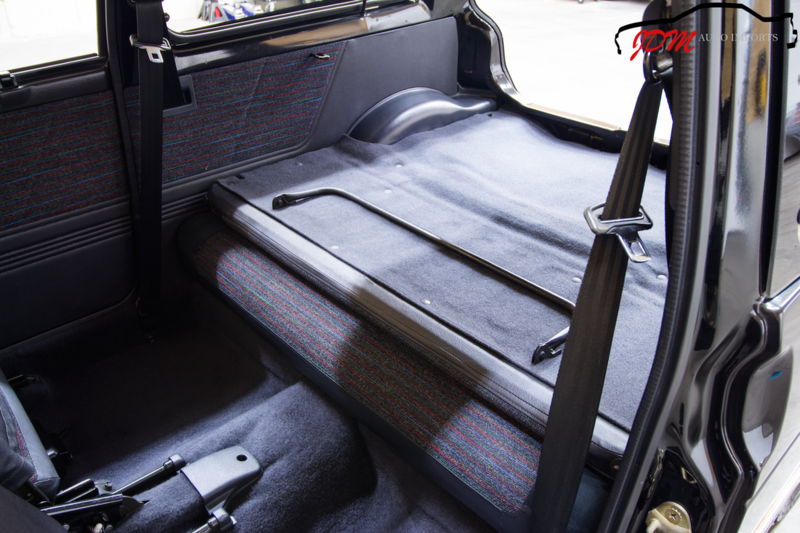 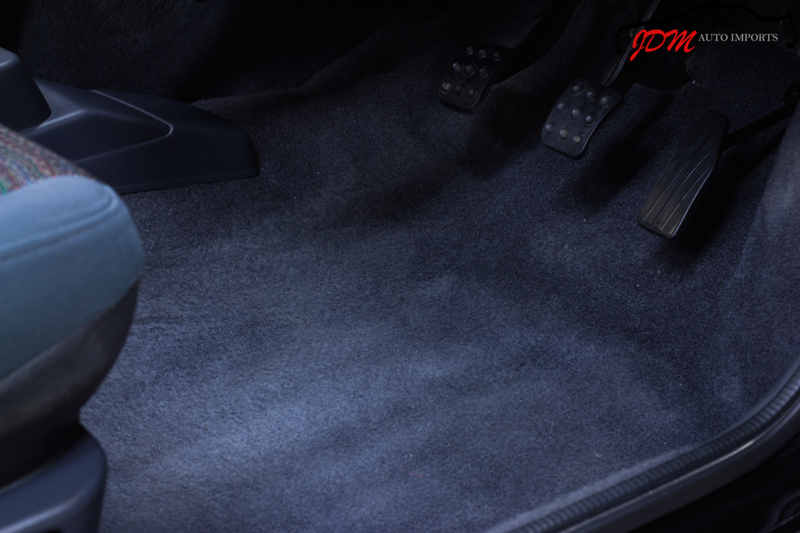 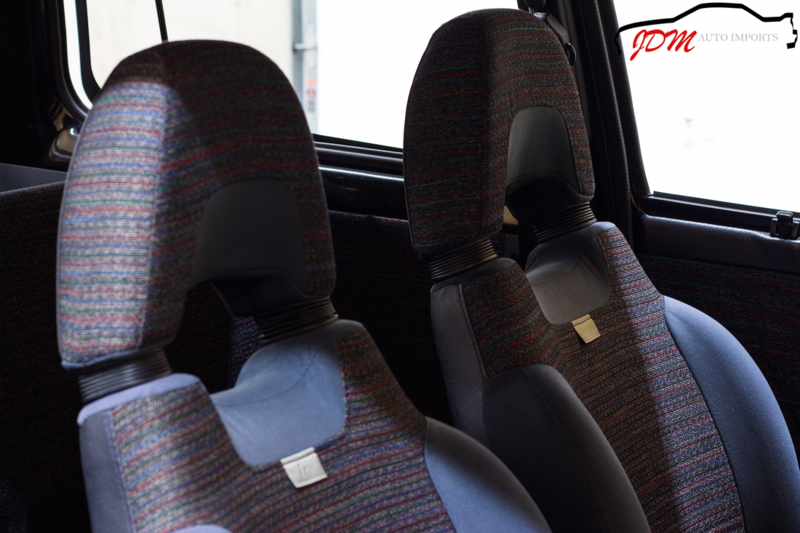 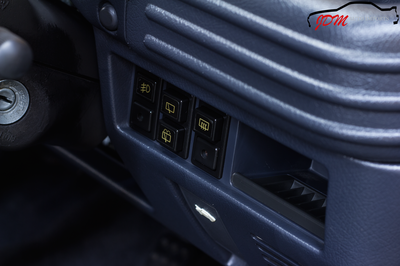 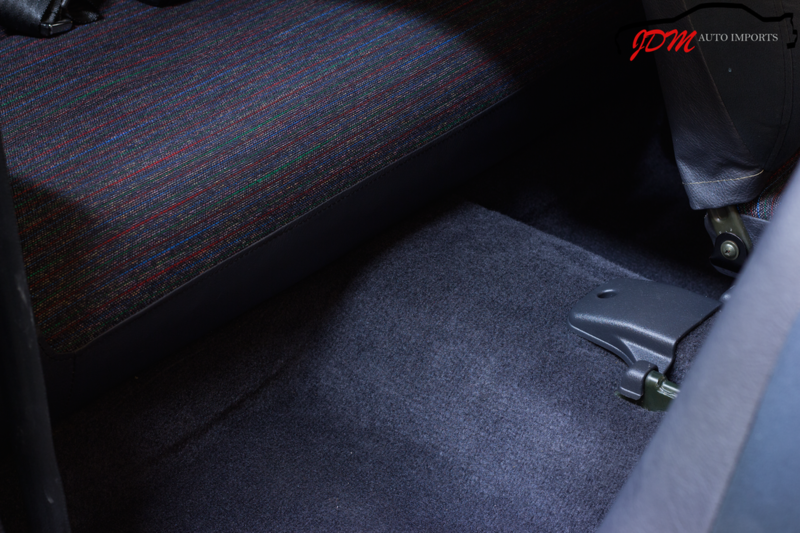 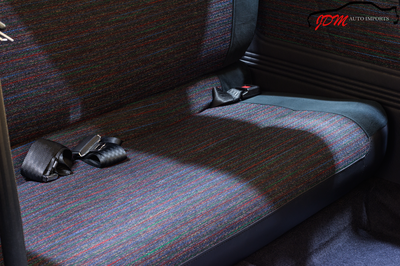 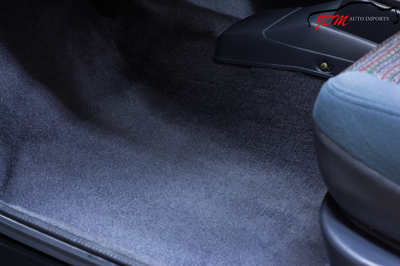 The interior feels very spacious and the rear seat folds down to create extra storage room. The A/C is functional and blows cold. 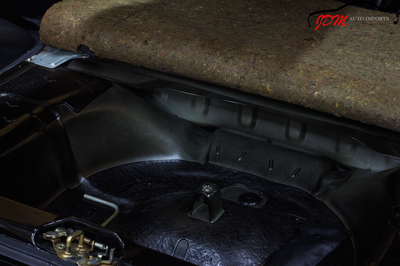 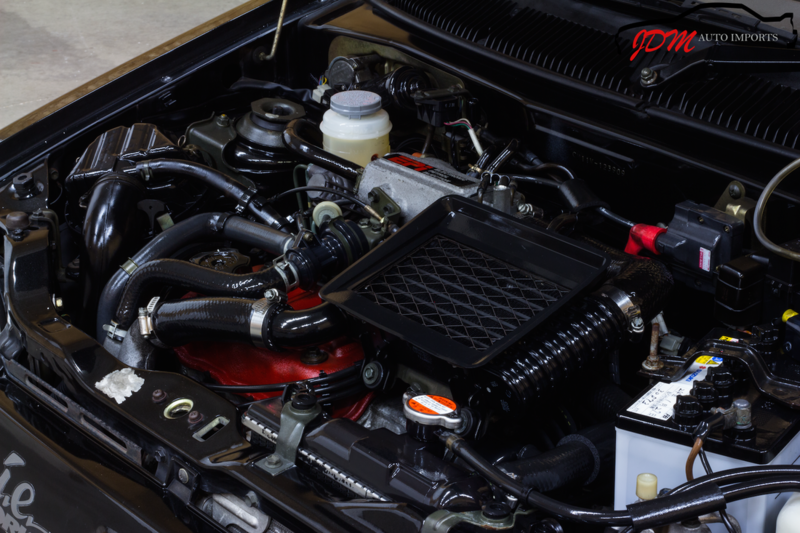 The F5B 547cc turbocharged and inter-cooled engine starts on command and runs through the gears without hesitation. 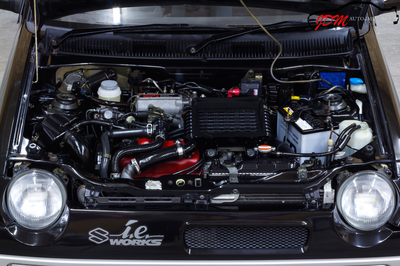 It sounds wonderful and produces quite a bit of turbo noise with the factory setup. The combination of 4WD, manual transmission, and light weight gives this vehicle a very sporty feel with quick acceleration. 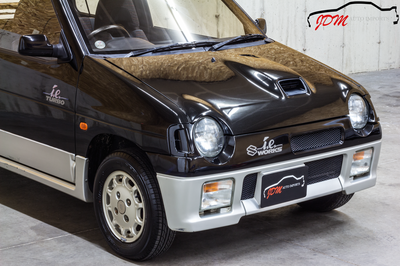 It is very enjoyable to drive and gets a lot of attention on the road, all while getting excellent fuel economy.